Thanks to folks at the magazine for also supplying both of the images seen below the excerpt, including the current magazine cover. See this link of more views of scenes as these artists sketched them. At the time of the Civil War, camera shutters were too slow to record movement sharply. 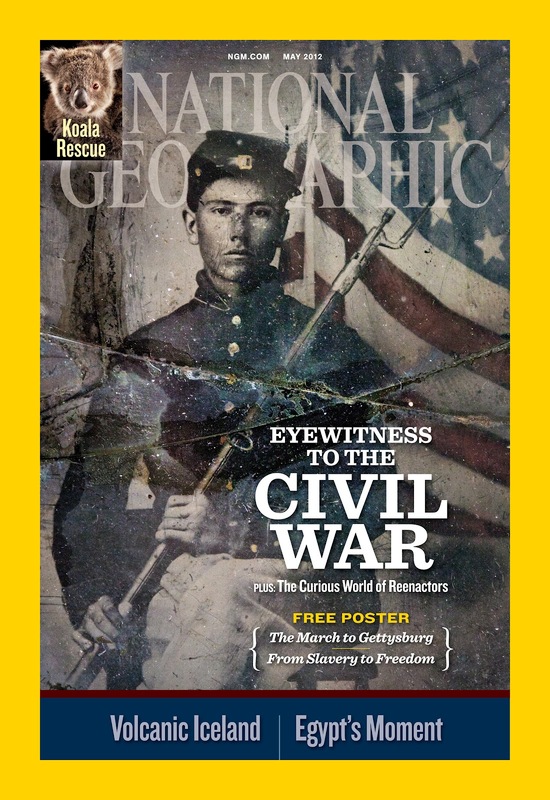 Celebrated photographers such as Mathew Brady and Timothy O’Sullivan, encumbered by large glass negatives and bulky horse-drawn processing wagons, could neither maneuver the rough terrain nor record images in the midst of battle. So newspaper publishers hired amateur and professional illustrators to sketch the action for readers at home and abroad. Embedded with troops on both sides of the conflict, these “special artists,” or “specials,” were America’s first pictorial war correspondents. They were young men (none were women) from diverse backgrounds—soldiers, engineers, lithographers and engravers, fine artists, and a few veteran illustrators—seeking income, experience, and adventure. In spite of the remarkable courage these men displayed and the events they witnessed, their stories have gone unnoticed: Virginia native son and Union supporter D. H. Strother’s terrifying assignment sketching the Confederate Army encampments outside Washington, D.C., which got him arrested as a spy; Theodore Davis’s dangerously ill-conceived sojourn into Dixie in the summer of 1861 (he was detained and accused of spying); W. T. Crane’s heroic coverage of Charleston, South Carolina, from within the Rebel city; Alfred Waud’s detention by a company of Virginia cavalry (after he sketched a group portrait, they let him go); Frank Vizetelly’s eyewitness chronicle of Jefferson Davis’s final flight into exile. Confederates set Samuel Mumma's farm ablaze to keep it from Union hands. 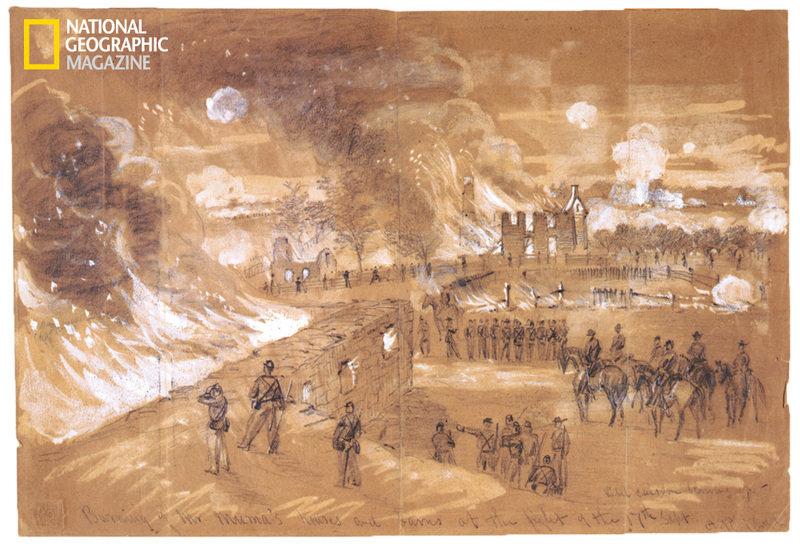 By the time Alfred Waud made this sketch, using Chinese white pigment to depict flames, Union troops were in control of the area.